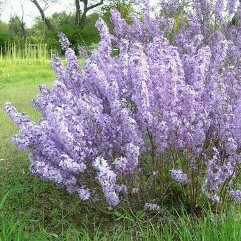 A true rarity. 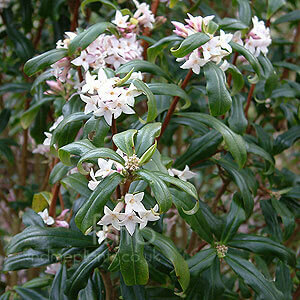 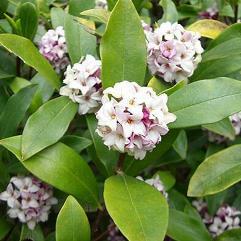 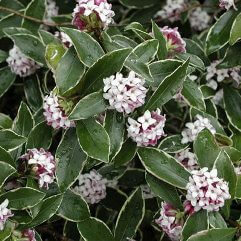 This evergreen upright Daphne has dark green leaves. 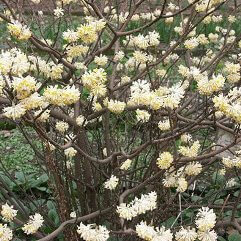 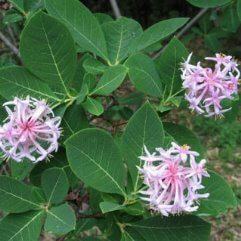 Flower buds grow at the end of branches and when it flowers, the flowers start off pink and go to white. 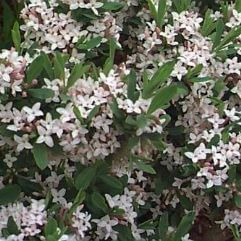 Lovely perfume.